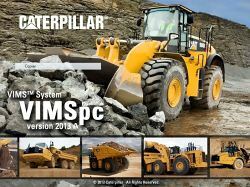 New VIMSpc software is now available. VIMSpc version 2015A contains functionalities of the following existing software products and serves as replacement for them. * All previous versions of VIMSpc, including 2011A and 2009B. The table below compare capability to connect to various hardware platforms between VIMSpc 2013A and 2011A versions. * Includes functionality of VIMSpc 2011A, 2009B, VIMS 3G Connect, VIMS Supervisor, PCSpc, and TPMpc. * Support VIMS A5, A4, 522, 523, ABL2M, and 68K hardware platforms. * Uses IBM DB2 database instead of Microsoft Access which allows much more data storage (limited by size of hard drive). * Improved the speed of data merge. * Fixed bugs found in 2011A version. You must be an administrator to install VIMSpc. All air cards should be removed and VPN turned off prior to installation and when running VIMSpc while connecting to VIMS3G modules.